Taking a leap of faith into a career as a pipe layer at 19-years-old has certainly paid off for Dylan Samson. 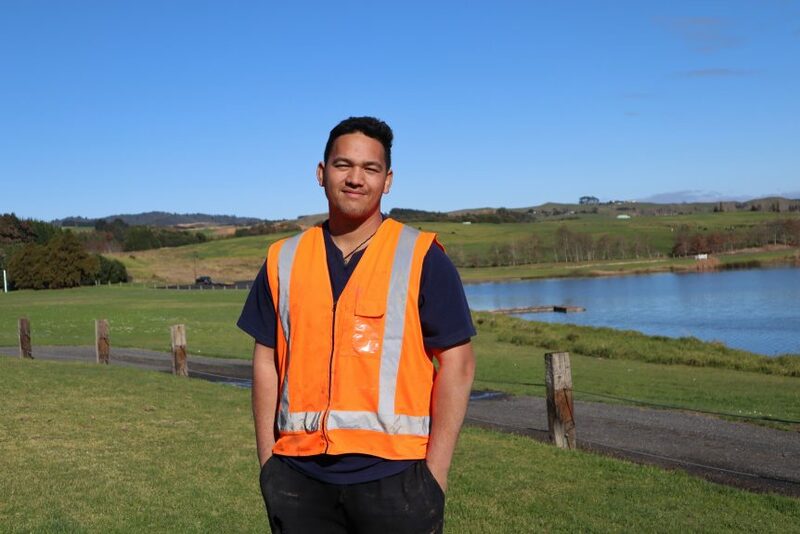 Now 23, Dylan is a Water Reticulation Technician in charge of his own crew for Allens United Drainage and Earthworks in Hamilton and is loving every minute of it. It seems a world away from the career as a PE teacher Dylan began training for when he first left Cambridge High School. “I wasn’t really enjoying what I was doing, and I saw the ad for an apprenticeship online and just decided to give it a go. I didn’t even know what the job involved,” he says. What appealed though was that an apprenticeship offered the ability for Dylan to earn while he learned. After a little research, Dylan decided the variety of work and the chance to work outdoors in different locations was just what he was looking for. “I really love it. I like that you’re working in different places all the time and you’re not just stuck inside behind a desk,” he says. ‘This job opens up many doors and you can work anywhere in the world if you wanted to, which is awesome’. Almost four years on from that decision to join Allens United Drainage and Earthworks as a trainee, Dylan is a highly valued and hardworking member of the team. He has recently completed his National Certificate in Water Reticulation – level 3 through Connexis, the Infrastructure Industry Training Organisation and now looking at the New Zealand Certificate in Pipe Installation (Level 4), which will lead him to Civil Trade Certification. In April of this year, he was named Trainee of the Year at the Civil Contractors New Zealand Waikato awards. He adds that he thinks the responsibility of training and now having more responsibilities in his work has led him to be more confident in all areas of his life. Dylan is glad he found a job he really enjoys and is good at and would definitely recommend it to other young people looking for good career options. At 23, Dylan owns his own home. “it’s a huge achievement, not everyone can say that’. ‘This job has also helped me support my family and being able to do that comfortably means a lot’. “I think that opportunity to earn while you’re on the job and training is a really big benefit. I know lots of other people who are full time students and they’re always stressed and struggling with money.